Oct 02 The exam will take place on Jan 15, 2019, 12:20-13:50 in S1. Students should have a substantial programming experience in either C, C++, Java and/or Perl, and have preferably taken Data Structures (NTIN060), Unix (NSWI095), and Intro to Probability (NMAI059) or their equivalents, even though all the probability theory needed will be re-explained. Knowledge of, or willingness to learn the basics of Perl as-you-go (and on your own) is also important. 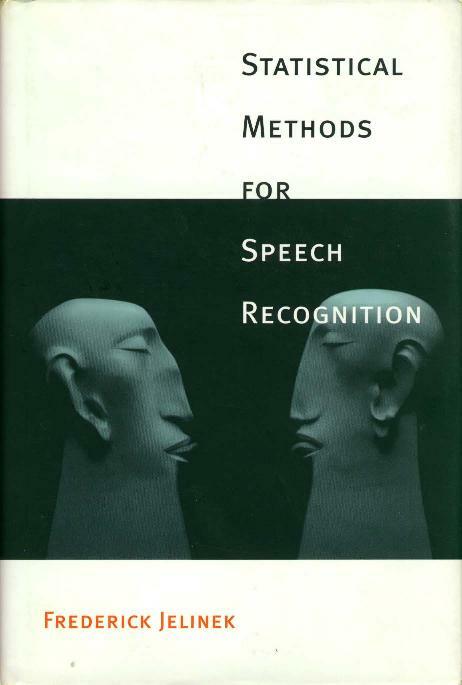 One of the benefits of the course is that it is given in English; it should enable you to read current literature on NLP more smoothly, since the literature is almost exclusively in English. Czech terminology will be explained for those interested. 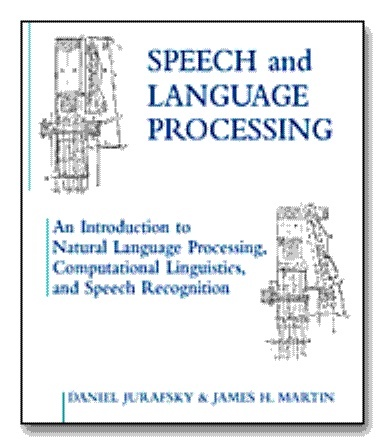 The material covered in this course is selected in such a way that at its completion you should be able to understand papers in the field of Natural Language Processing, and it should also make your life easier when taking more advanced courses either at UFAL MFF UK or elsewhere. No background in NLP is necessary. To pass the course, students need to complete one homework assignment and pass a written test. See grading for more details. The original web pages for this course are also still active at http://www.cs.jhu.edu/~hajic/courses/cs465/syllabus.html. Note: The slides are also available in one file here and in one file with 4 slides per page here. This file has every word on a separate line. (Punctuation is considered a word, as in many other cases.) The i,j above will also span sentence boundaries, where i is the last word of one sentence and j is the first word of the following sentence (but obviously, there will be a fullstop at the end of most sentences). Next, you will mess up the text and measure how this alters the conditional entropy. For every character in the text, mess it up with a likelihood of 10%. If a character is chosen to be messed up, map it into a randomly chosen character from the set of characters that appear in the text. Since there is some randomness to the outcome of the experiment, run the experiment 10 times, each time measuring the conditional entropy of the resulting text, and give the min, max, and average entropy from these experiments. Be sure to use srand to reset the random number generator seed each time you run it. Also, be sure each time you are messing up the original text, and not a previously messed up text. Do the same experiment for mess up likelihoods of 5%, 1%, .1%, .01%, and .001%. Next, for every word in the text, mess it up with a likelihood of 10%. If a word is chosen to be messed up, map it into a randomly chosen word from the set of words that appear in the text. Again run the experiment 10 times, each time measuring the conditional entropy of the resulting text, and give the min, max, and average entropy from these experiments. Do the same experiment for mess up likelihoods of 5%, 1%, .1%, .01%, and .001%. Tabulate, graph and explain your results. Also try to explain the differences between the two languages. To substantiate your explanations, you might want to tabulate also the basic characteristics of the two texts, such as the word count, number of characters (total, per word), the frequency of the most frequent words, the number of words with frequency 1, etc. Attach your source code commented in such a way that it is sufficient to read the comments to understand what you have done and how you have done it. This task will show you the importance of smoothing for language modeling, and in certain detail it lets you feel its effects. First, you will have to prepare data: take the same texts as in the previous task, i.e. Prepare 3 datasets out of each: strip off the last 20,000 words and call them the Test Data, then take off the last 40,000 words from what remains, and call them the Heldout Data, and call the remaining data the Training Data. Be careful; remember how to handle correctly the beginning and end of the training data with respect to bigram and trigram counts. And finally, compute the cross-entropy of the test data using your newly built, smoothed language model. Now tweak the smoothing parameters in the following way: add 10%, 20%, 30%, ..., 90%, 95% and 99% of the difference between the trigram smoothing parameter and 1.0 to its value, discounting at the same the remaining three parameters proportionally (remember, they have to sum up to 1.0!!). Then set the trigram smoothing parameter to 90%, 80%, 70%, ... 10%, 0% of its value, boosting proportionally the other three parameters, again to sum up to one. Compute the cross-entropy on the test data for all these 22 cases (original + 11 trigram parameter increase + 10 trigram smoothing parameter decrease). Tabulate, graph and explain what you have got. Also, try to explain the differences between the two languages based on similar statistics as in the Task No. 2, plus the "coverage" graph (defined as the percentage of words in the test data which have been seen in the training data). Create a separate directory assign for your submission. Create a main web page called index.html or index.htm in that directory. Create as many other web pages as necessary. Put all the other necessary files (.ps and .pdf files, pictures, source code, ...) into the same directory and make relative links to them from your main or other linked web pages. If you use some "content creation" tools related to MSFT software please make sure the references use the correct case (matching uppercase/lowercase). For MFF UK students, please see http://www.ms.mff.cuni.cz/labs/unix. For others, please visit http://www.ms.mff.cuni.cz/students/externisti.html. The grading table is available in SIS. The final grade (or pass/fail for PhD students) will be determined by both the final exam and your assignment results in a 50:50 ratio. The exam is written (not oral), with about 6 major questions and some subquestions. You will have 60 minutes to write down the answers. To get an idea of the type of exam questions, please see the questionaire for one of the previous year's final exam (Questionnaire). No plagiarism will be tolerated. The assignment is to be worked on your own; please respect it. If the instructor determines that there are substantial similarities exceeding the likelihood of such an event, he will call the two (or more) students to explain them and possibly to take an immediate test (or assignment, at the discretion of the instructor, not to exceed four hours of work) to determine the student's abilities related to the offending work. All cases of confirmed plagiarism will be reported to the Student Office. For each day your submission is late, 5 points will be subtracted from the points awarded to the solution or a part of it, up to max. of 50 points per homework. Submissions received less then 4 weeks before the closing date of the term will not be graded and will be awarded 0 points. 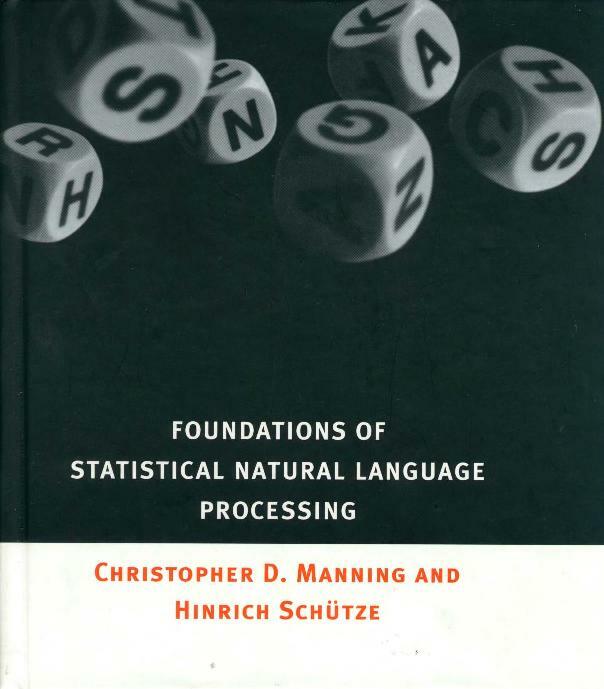 Manning, C. D. and H. Schütze. MIT Press. 1999. ISBN 0-262-13360-1. Eight copies of this book are available at the CS library for borrowing. Please be considerate to other students and do not keep the book(s) longer than absolutely necessary. Jurafsky, D. and J. H. Martin. Prentice-Hall. 2000. ISBN 0-13-095069-6. Three copies of Jurafsky's book are available at UFAL's library. Wall, L., Christiansen, T. and R. L. Schwartz. O'Reilly. 1996. ISBN 0-596-00027-8. Allen, J.. Benajmins/Cummings Publishing Company 1994. ISBN 0-8053-0334-0. 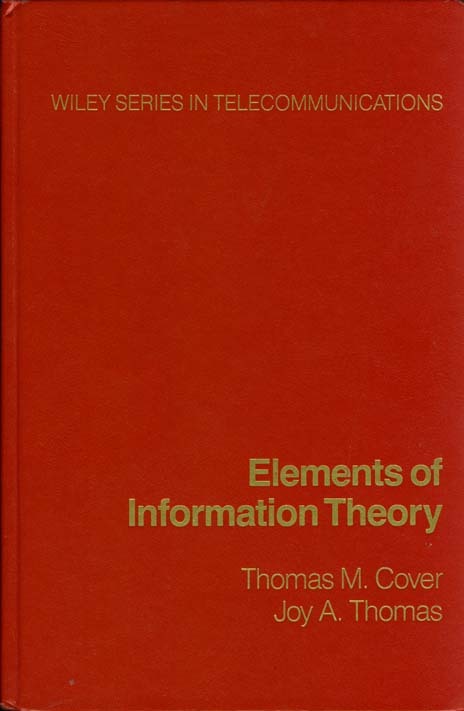 Cover, T. M. and J. A. Thomas. Wiley. 1991. ISBN 0-471-06259-6. 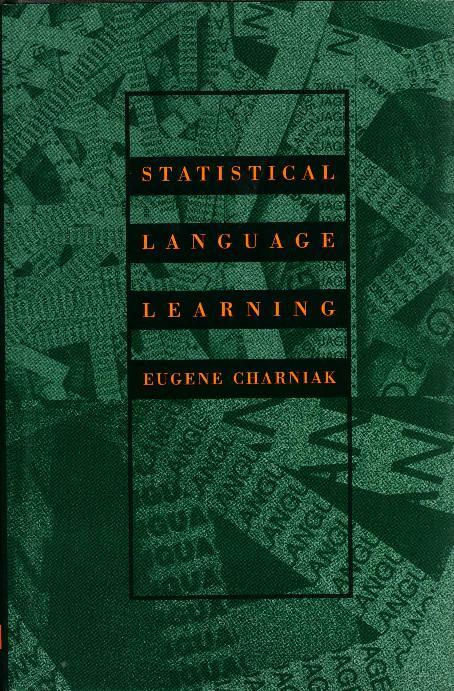 Charniak, E. MIT Press. 1996. ISBN 0-262-53141-0. Jelinek, F. MIT Press. 1998. ISBN 0-262-10066-5. 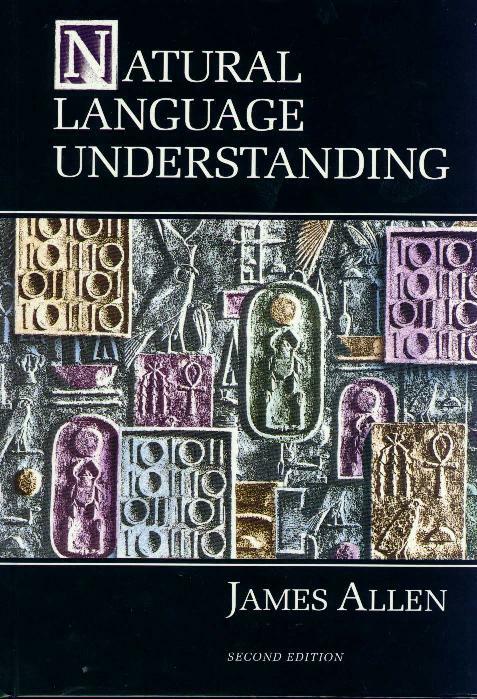 Four copies of Jelinek's book are available at UFAL's library, but they are primarily reserved for those taking Nino Peterek's and/or Filip Jurcicek's courses. Some of the Proceedings are available at UFAL's library, physically and/or in electronic form. Most of them are, however, freely available through the ACL Anthology, including all volumes of the Computational Linguistics journal and the new Transactions of the ACL journal. Some interesting statistics on Czech and English. Eric Brill's short guide to Perl. Eric Brill's transformation-rules-based error-driven tagger (for Unix-based systems).